TLC can take many forms, and we think food—specifically comfort food—really does the trick when body and soul crave an edible great big bear hug. Here are five of our favorites. We’re big fans of TLC—after all, we put it into every product we make. 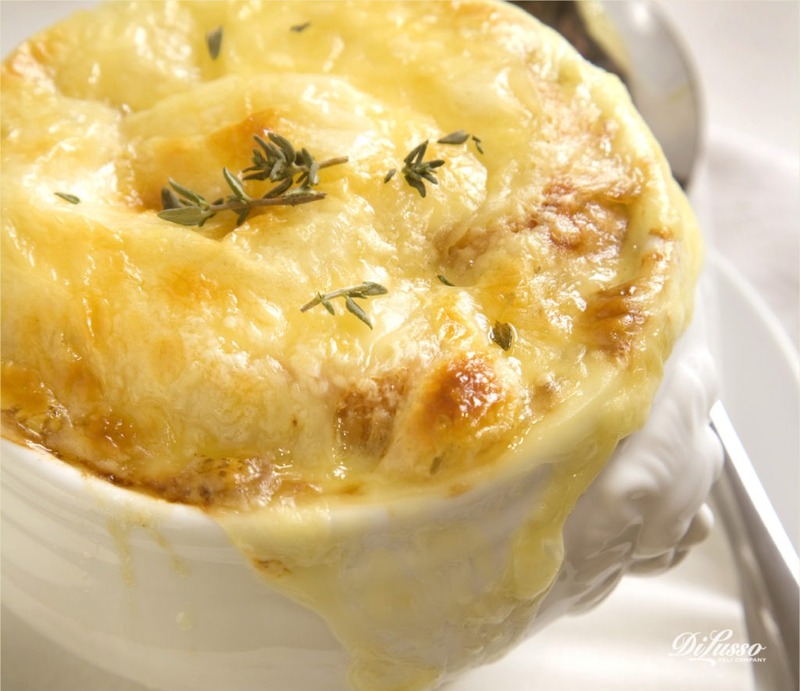 Ladle your favorite French Onion Soup (store-bought or homemade) into oven-safe bowls. Place the bowls on a cookie sheet, and top each with a slice of toasted baguette. Top the baguette slices with DI LUSSO® Baby Swiss Cheese and a sprinkle of Parmesan. Broil until melted. Put a slice or two of folded DI LUSSO® Double-Smoked Ham on the bottom of a buttered, toasted bun (we put the “ham” in hamburger!). Add your best grilled, pan-fried or broiled burger, topped with slices of DI LUSSO® Muenster and Wisconsin Sharp Cheddar Cheese. Crown it with some tangy DI LUSSO™ mustard and the other half of the bun. Pizza—just about any kind of pizza—usually hits the spot no matter what. 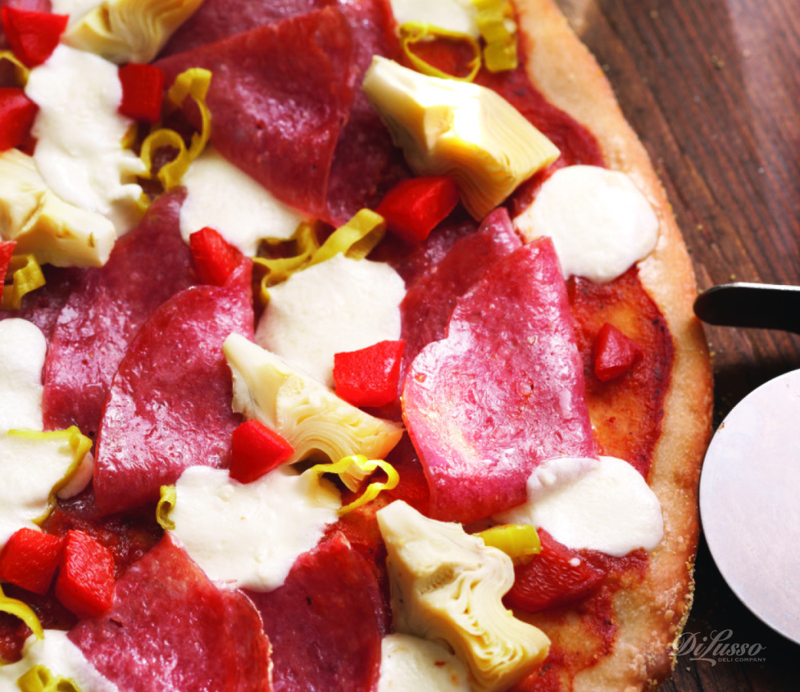 Make your own using a premade pizza crust and prepared pizza sauce, topped with DI LUSSO® Genoa Salami slices, artichoke hearts, DI LUSSO™ Roasted Red Pepper Strips, pepperoncini peppers, and shredded DI LUSSO® Mozzarella cheese. Feel better now? Careful, it’s addictively good. Cut vertical and horizontal gashes (don’t cut all the way through) in a round loaf of sourdough bread. 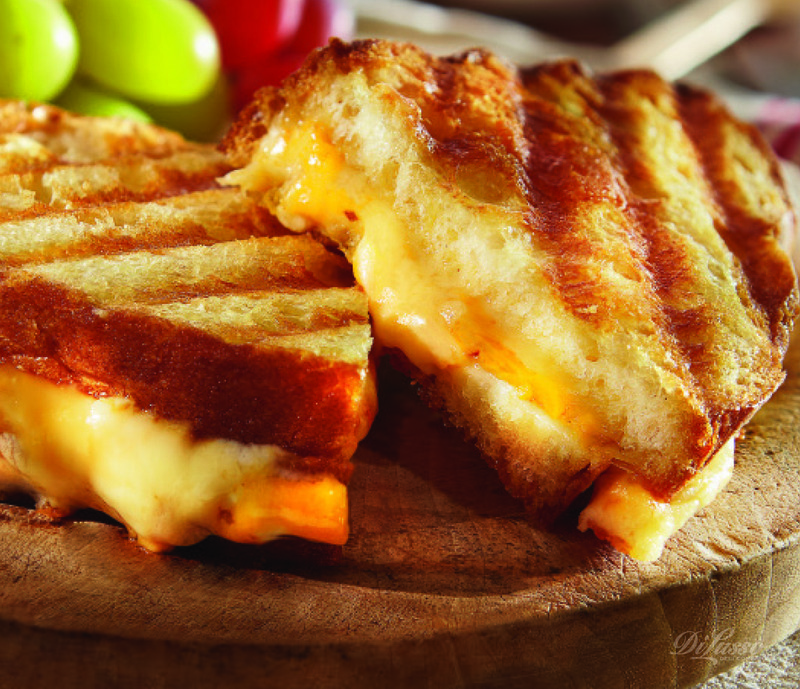 Stuff slices of DI LUSSO® Mozzarella cheese into the cuts on the bread. 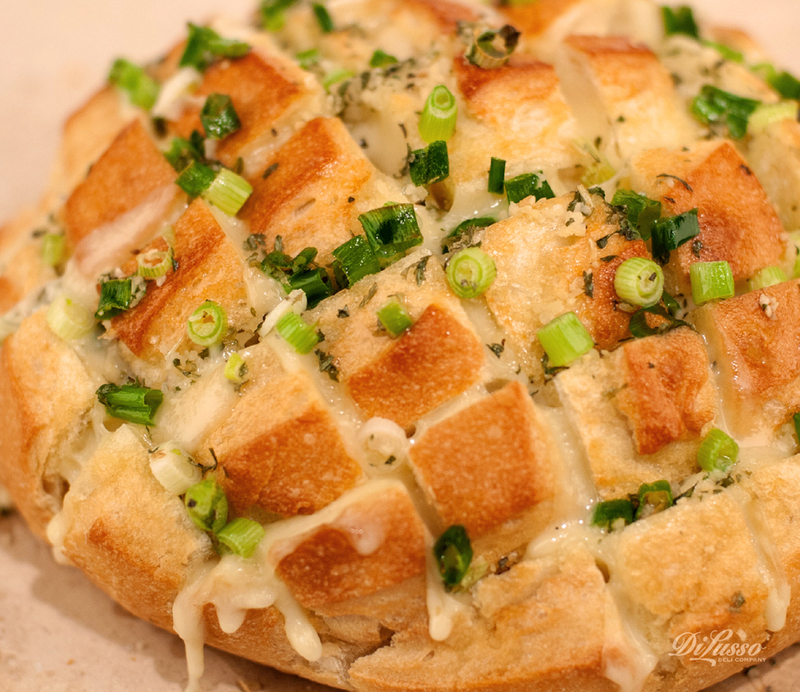 Mix melted butter, a couple of chopped green onions and chopped fresh garlic to taste, and pour butter mixture into the crevices. Bake at 350F until melty and golden brown.